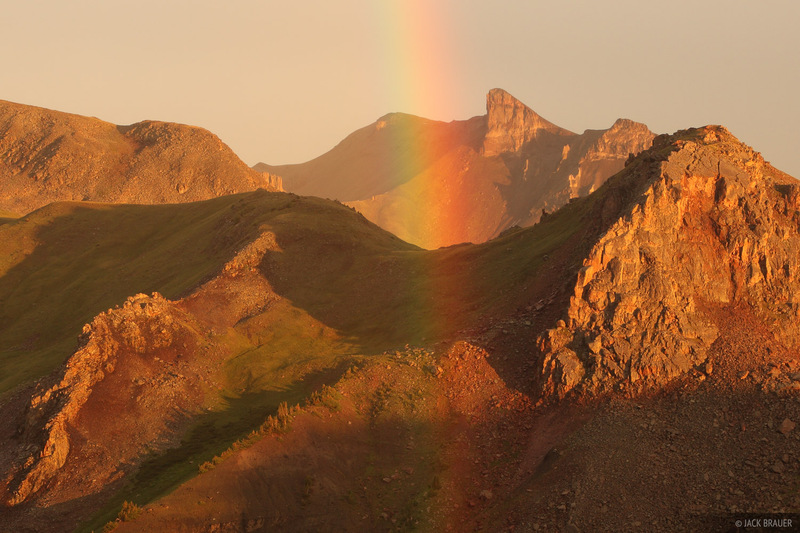 Wetterhorn Peak lights up with sunset alpenglow after a July monsoon thunderstorm. That night I woke up at 1:40am, and under the full moonlight I climbed up Wetterhorn Peak, the rugged 14,015 ft. mountain that dominates the scene. 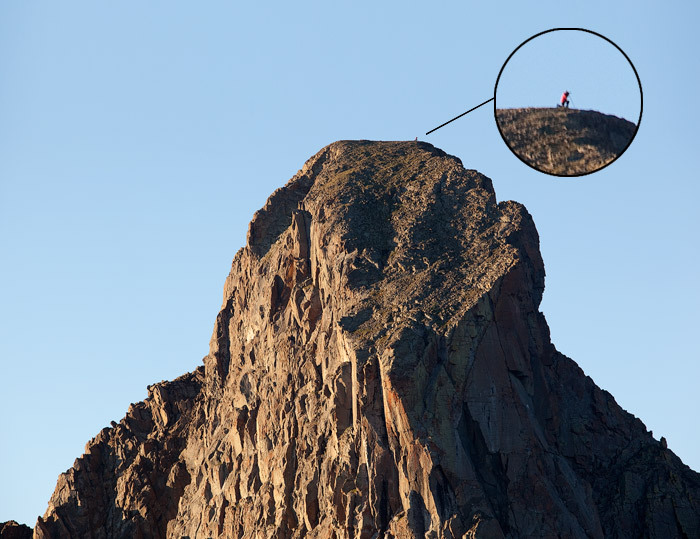 I’d climbed up the peak once before four years ago, so I kind of remembered how to climb the scrambly exposed route to the summit in the dark. I relaxed up there by myself for four hours, enjoying the sunrise, soaking up the views, and looking at all the other places I’ve hiked around there and would like to hike in the future. 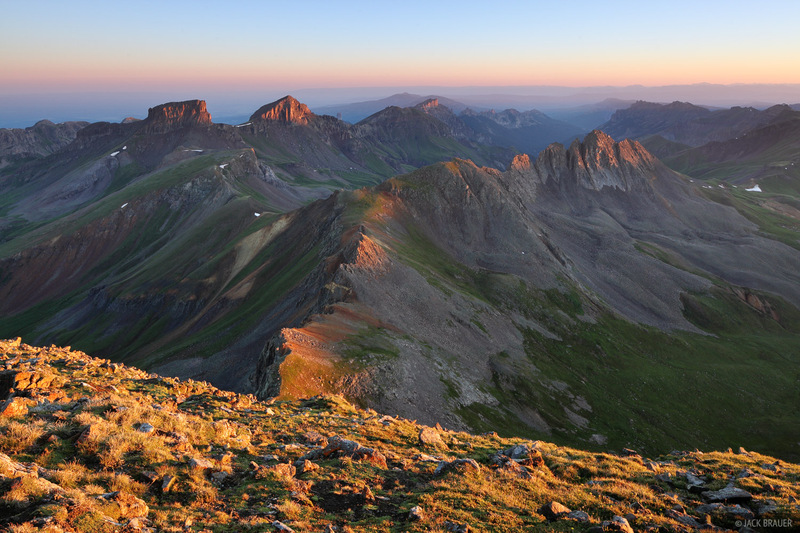 Sunrise over the San Juans, as seen from the summit of Wetterhorn Peak. 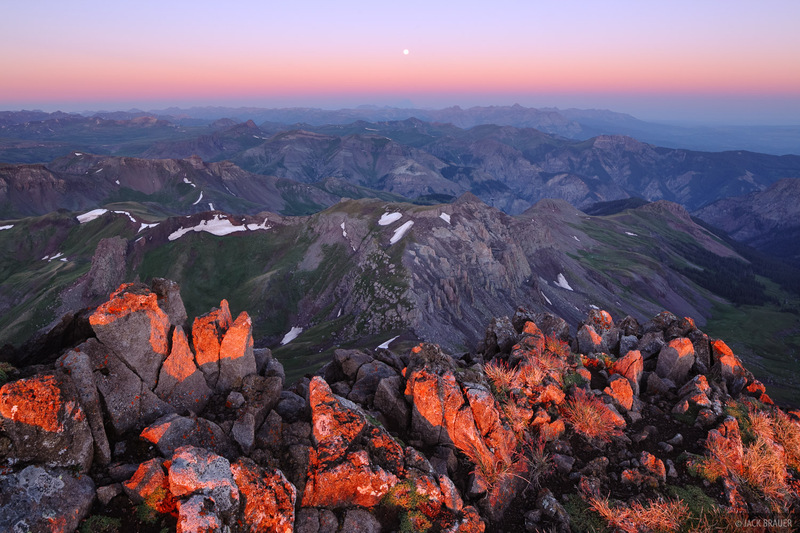 At 14,015 ft. the summit rocks of Wetterhorn are lit by the sunrise alpenglow light before the earthshadow has even dropped below the horizon! 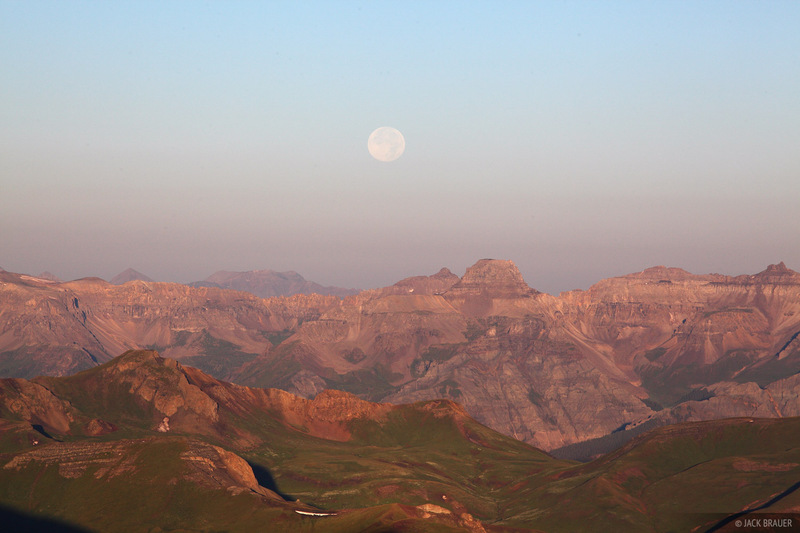 A nearly full moon sets over Potosi Peak and the Sneffels Range. Jody Grigg's photo of me up on the summit of Wetterhorn Peak. 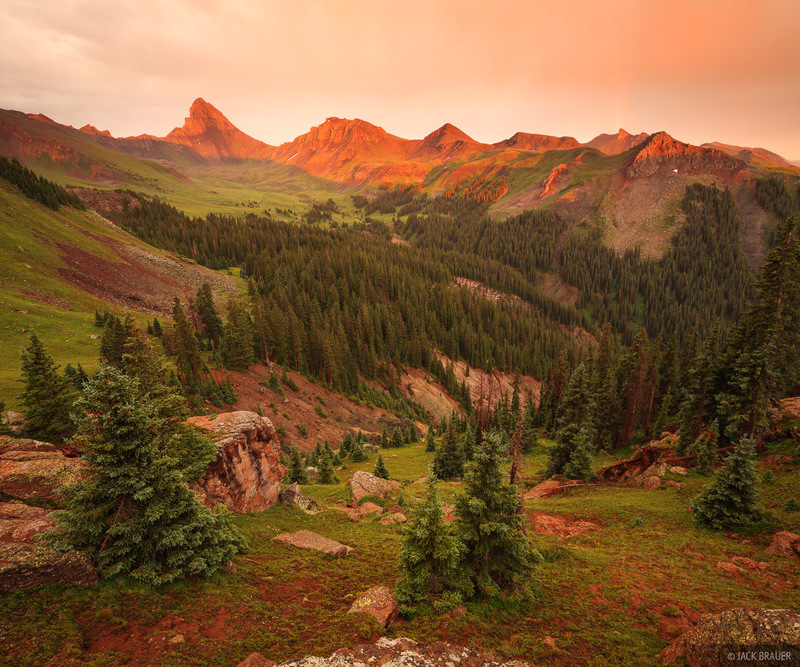 Posted in Backpacking & Trekking, Colorado and tagged San Juan Mountains, Colorado, 14ers.